At the top of your head is a funnel shaped netting of energy which function it is to bring higher energy into your body. This funnel or cone shaped netting is directing what I refer to as spiritual energy down into you and connects directly to your brain stem, or the very top of your cervical spine. This netting system (as I “see” it through my own inner vision), turns into an etheric tube, very much like a hose, that runs down the center of your spine and another netting like funnel emanates from the center of your groin and (in healthy people) elongates down into the earth several inches. The thicker spiritual energy flows down into you through the crown, picking up stress, worries, toxins, viruses, whatever does not belong in your body, and moves it out into the earth. The earth then transmutes it into positive life affirming energy and is released once again into our atmosphere via the plant kingdom as oxygen. The earth energy, which is fluid and hydrating, then runs up the body rehydrating the entire body system. She replenishes vital life force energy, and in the whole and balanced ready human, ignites Kundalini Passion, which is located at the high heart area (right at the top of the sternum). Intersecting in this core energy is what is commonly referred to as “major chakras.” I used to think they were called major because of what they did, but I have since learned it is really because of their size. The major chakras are the largest energy portals of the body system. All but the crown and root have front and back locations: The front of the body and the back of the body. Most people say there are seven major chakras. As I see it in the new emerging human, there are nine that run from head to groin. The two I have inserted are in italics. CROWN – The top of the head known as the Crown Chakra, associated with the color violet and/or white, governs intuition, awareness, and spirituality. This is where the Pituitary Gland is and is known as the seat of the soul. BROW OR THIRD EYE – The forehead just above your eyebrows is the Brow or Third Eye Chakra, associated with the color indigo, and governs your senses, visual intuition, telepathy, meditation, and inner sight. THROAT – The throat area called the Throat Chakra is associated with the color blue and governs the ether (allows the voice of Spirit to speak through you), self-expression, energy, and endurance. The HIGH HEART – The top of the Sternum region and is associated with the color pink. This truly is your passion center, what you have come into life to do, be and express from the Higher realms of Light. HEART – The area between your shoulders and also between your lower rib cage and the bottom of your throat is called the Heart Chakra. It is associated with the color green and governs air (your lungs are located in this area as well), compassion, love, respect, and it is the home of your spiritual energy. I also like to refer to this area as an equal processor to the brain since it is the home of Spirit or your soul. SOLAR PLEXUS – The next area is that area just above your navel (belly button) and just below the rib cage known as the Solar Plexus or Navel Chakra, which is associated with the color yellow and governs your passion, personal power, and is the storage of your life force (prana). This is also where all your “gut” feelings come from, and your intuition usually projects from here. SACRAL PLEXUS – The area directly between your solar plexus and sacral chakra areas, in the mid-abdomen. It is associated with the colors yellow-orange, an intermingling of the two. It emerges within your body when you have shifted from “physically or ego driven” to “spiritually or love driven”. SACRAL – The next is the area just above the pelvic bone and just below the navel called the Sacral Chakra, which is associated with the color orange and governs emotions toward others, sexual energy, and your reproductive organs. This is also from where your sexual desires and fantasies, as well as “attractions,” come, at least before your transformation happens (more on this later). Although smaller in size, there are two very important chakras I want to add in my version of ”major” chakras: The palms of your hands are one set. Your hands are constantly sending and receiving energy. Have you ever noticed how much you can pick up from another with a handshake? Or how much you can feel when holding hands with someone? The soles of your feet are another set. You can pick up all the subtle energy that comes from your mother, the earth. She is constantly sending out signals. All you have to do is learn how to process the signals and truly connect to that. This etheric tube system I see runs from the heart across the clavicle area and down each arm to the palms and fingertip chakras. The legs and feet are connected just above the tailbone. So there are your 7-9 major chakras, palms and feet. Now there are smaller energy centers that I see. Every location of your joints has its own energy center. Every pore of your skin has teeny tiny chakras that I see as about ¼ of an inch in size. Interestingly enough, what I have never ever seen within the body is the ancient Chinese meridian pathways. That is not to say there are not energy pathways in the body. God knows we are loaded with them, but we really have evolved energetically over 3000 years. We now have an amazing grid system within us. But for the purpose of this book, that information is irrelevant. The only way I know of addressing this energy system is by relating the story in a linear fashion. Please know that all the energies I am going to share with you are intermingled with each other and are different variations of the same energy. Don’t worry about the complexity of that statement because it’s really not important to understand. I would not have progressed as far as I have if I had been required to understand it. I understand it through the many years of intensely working with it. I am going to talk about four different energy layers here. Two of the energy layers are very common and I am sure everyone has heard of before. The other two are more esoteric, but no less true and existent. The first layer I want to address is the FEAR LAYER. The fear energy is the densest of all energies that exist. It is heavy, black (no light shining in), and burdensome. Because this energy is so heavy, it vibrates closest to the root chakra, or physical incarnation aspect of our human field. Believe it or not, this is really an important energy if used sparingly and only when appropriate. The fear energy is designed to keep us safe and free from harm. It is the very energy our ego projects from, by design! Sadly, we humans have been consumed by fear. It floods our core system and blocks out so much light (wisdom and joy) that is has us constantly second guessing ourselves. As we accumulate more and more of the fear energy within us and near us, we become so blocked from the light that our physical bodies start to break down. Disease and illness can set in because of our weakened fearful state of being. We think we are doing ourselves a favor by the sheer amount of drugs and operations we receive, but that is simply consuming more fear. We no longer trust our energy system to correct itself, so we consume more fear. How many people have you known that had cancer, had it go into remission then present itself again either in the same place or elsewhere? Until you absolutely change your energy, your thinking, you are simply redistributing the fear energy. Before I started this journey that I now refer to simply as “my path,” I was riddled with fear. My life and body echoed that fear. I had gallbladder disease by the time I was 30 years old. Emergency surgery cured that, or so I thought. I stored all my unresolved anger in my gallbladder, so when it was removed, should I have been surprised when I developed raging ulcers? No. I had simply moved my storage unit from the gallbladder to the stomach and anger was still eating me alive, literally and figuratively. No doctor ever offered that information. Anger, when not used positively, is a destructive aspect of fear. Of course, I was housing so much anger that I developed G.E.R.D. (gastroesophageal reflux disease) on top of this ulcer joy. There was so much anger in my stomach that it was backing up into my esophagus. I was also manic-depressive, a genetic gift I received from my mom. In the DNA that is my incarnated body, there is a family history of blocking out our light so that only darkness feeds the mind. This, too, is a purposeful journey in self-discovery. Ah, but I would be getting ahead of the story. I was filling my bounty of dysfunction in consuming the disorder known as S.A.D. (Seasonal Affective Disorder), which, simply stated, effects the melatonin produced by the pituitary gland in winter months. In other words, we are dependent on outside sources of light to nourish our physical body. When daylight is shortened by the winter months, depression can set in. I did ultra violet light therapy in the winter, which didn’t help much. It was during the winter months, when the seasonal depression compounded with the manic depression, that I attempted several suicides. I tried to go and Spirit kept sending me back! Depending on the stressors, I experienced long bouts of not being able to sleep at all to long bouts of not being able to get out of bed. Those are some ways that fear can present itself. Our bodies are designed to yell, “hey there is a black out happening within, turn on the lights please!” But we have resorted to medications and surgeries to cure our woes. Meditation is the key to everything and that chapter is forth coming. After the fear layer is The Collective Consciousness level of energy surrounding us. This energy system is exactly as it sounds. It’s the collective mindset of the humans on earth. There are various pockets to this energy. So it is not all one distinct sort of energy. There are massive fear pockets, massive light pockets and everything in between the two. We are programmed to connect to this particular energy field. Our crown chakras extend from our physical bodies to connect to the energy field with which we most closely vibrate. We download and upload constantly, enhancing and consuming whatever pocket of collective energy to which we are connected. For me, it was the self-loathing, unworthy energy field. Yeah, right there is the fear level of incarnation. In this part of the collective, poverty was a mindset. Fear of not being liked by others was a normal part of my day. I approached all aspects of life with the hungry need to be accepted by others, by someone, anyone. This blocked my light, of course, but who knows that at first? When I started to do my meditations, and bring in more light, I started to change where my crown chakra was connected. I started to move beyond the fear areas of life and into the lighter, more loving realms. Of course, anytime you move your antenna, relationships are going to change. Some people who loved you now can’t stand to be around you. Others embrace you as if seeing you for the first time, which, in truth, they really are! Some people, however, get so caught up in the channel to which they are connected that the airwaves get more intense, especially the fear pockets. This causes the body to break down. If that is happening and we don’t change our channels, our bodies simply die and we return to Source. But for this story, we are most definitely changing those channels in every conceivable way! Fortunately today, there are more and more people waking up and choosing to change the channel or pocket of collective energy to which they are connected. They are changing the very game being played here on earth. Ironically, the more Light (wisdom and love), in the collective, the more intense the fear agenda appears. That is simply because more and more light is exposing what no longer works for us as a human collective. So, let’s just say that the collective happily has become more Light-centered than it was even a decade ago. The next level of energy is what I refer to as THE CHIRST CONSCIOUSNESS or THE UNIFIED FIELD OF ONENESS. Fear and judgment cannot and does not exist in this pure Light energy. This is the energy to which the masters of yesterday such as Christ, Buddah, Krishna, Ghandi, Mohammad and so on, were connected. Let me be clear with this confusing and, for some, unsettling title using the word Christ. Christ is a place of enlightenment or mastery within the spiritual/human system of energy. It was a title given by the Essene religion, of which Jesus, the man, was a part. So Christ was a title for enlightenment and never intended to be a man’s name. This unified field of oneness is an actual energy field present within our earth realms. In order to access and utilize it in its fullness, you must completely clear your physical energy body and mind of fear of any kind. Your truth exists in this level of energy. It can only be accessed with pure heart energy. When your crown chakra is elongated to the fields of unity consciousness, you start to change your DNA encodings. Only in this field does true ascension take place on earth. Both DNA and ascension will be discussed later. And then there is the energy known as Shambhala. This would be the energy known as pure God potential. An energy field, when immersed within it, where heaven and earth are one energy. Unlike the other three energies, this field of creation is more difficult to connect to. It takes pure mastery of your very energy field to connect to it. It is so sacred (enlightened), and so powerful that, on earth, it takes two divine counterparts to open up its potential and bring it down into the earth realms. We can look at this energy, the God potential, as a container held under lock and key. Woman is the holding container and man is the key. In order to bring the energy of Shambhala to earth, one man and one woman, both magnetically encoded, must come together in a very physical way to build the energy field necessary for its arrival. This is why a completely integrated Kundalini partnership must happen first and foremost. Jesus accessed this energy. This is how he was able to turn water into wine, bread into fish, and instantly heal a person with his touch. 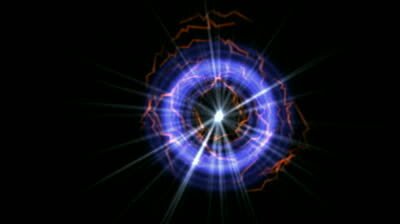 In order for him to have been able to open up this pure energy field, a counterpart, a woman, had to have been involved.